This superb lidded bowl is by Jules Sarlandie and was made in the Art Deco period at Limoges. 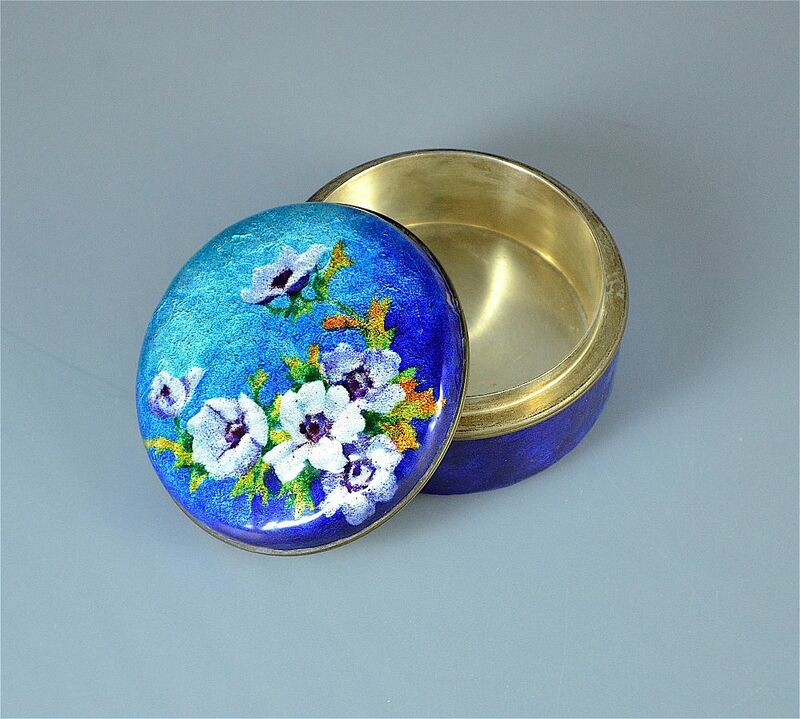 It is made of enamel on white metal. 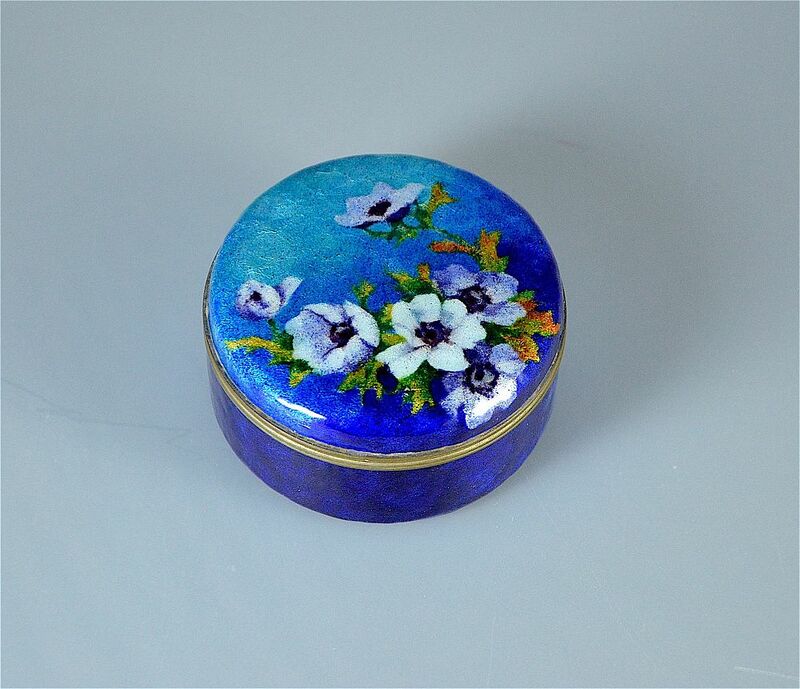 The base is predominantly a rich cobalt blue enamel shading to a pale turquoise on one side and this colouring is found on the lid. In addition there are white/mauve flowers with mauve centres and green/yellow/orange foliage on one side of the lid. 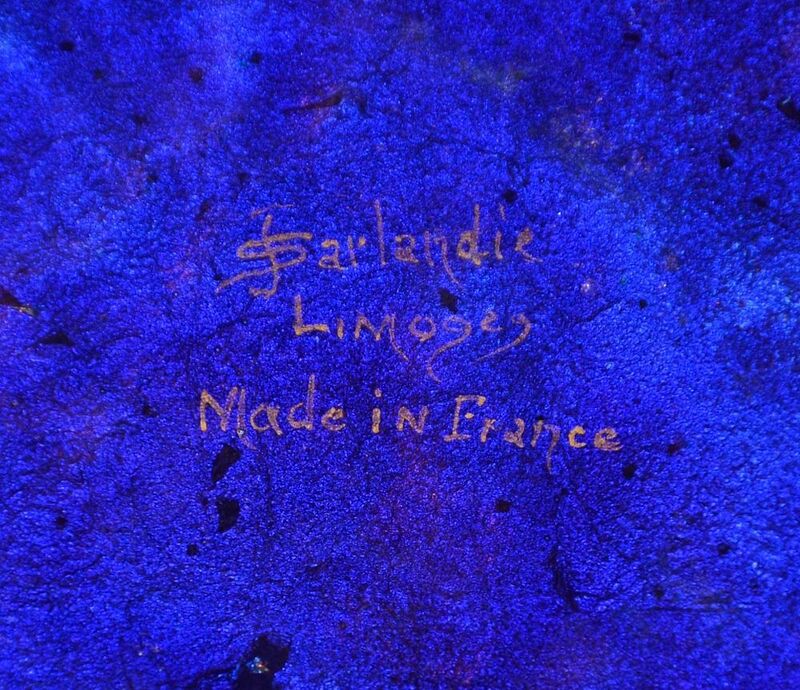 The base is signed "J Sarlandie Limoges Made in France" in gold. The inside of the lid and bowl is white metal possiblysilver plate over copper or brass. There seems to be some disagreement about the date of Sarlandie's death, sources recording it as both 1934 & 1936 so at the very latest it dates to 1936.